In traditional Buddhist terms, “Sangha” is defined as the community of ordained monks and nuns. However, Zen communities in the West are largely made up of lay practitioners, necessitating an expansion of the definition of Sangha. 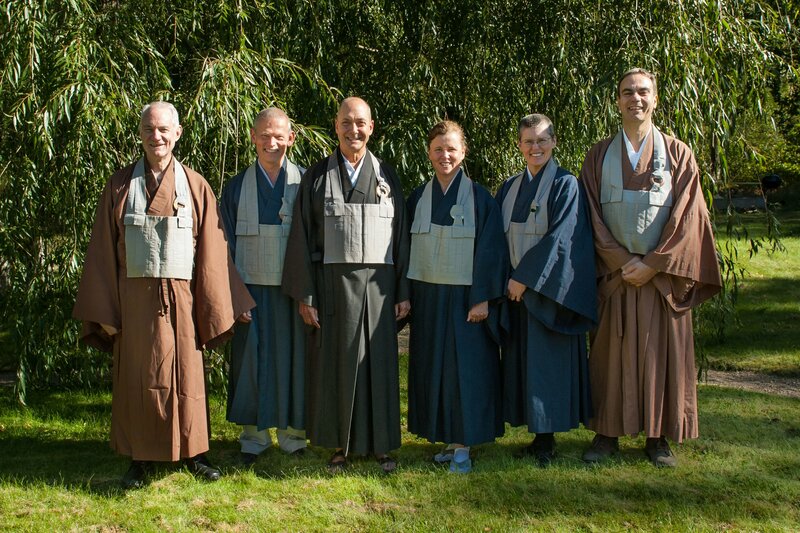 At the Rochester Zen Center, the title “Cloud-Water Sangha” designates those centers led by students of Roshi Bodhin Kjolhede, some of whom are now independent teachers themselves. “Cloud-Water” is a literal translation of “unsui,” the name used in Japan for a novice monk; clouds and water are much admired in Zen as models of adaptability and egolessness. In addition to the Cloud-Water Sangha, the Center has sitting groups in other cities. Click here for a listing of Zen Center affiliates.